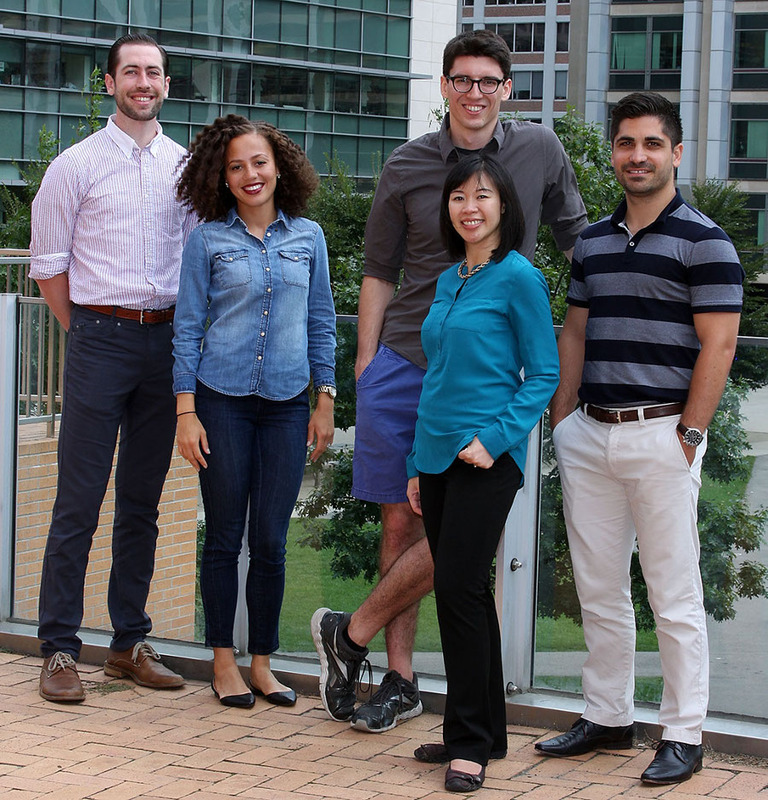 The Stanton Nuclear Security Fellows program allows young scholars to pursue policy relevant research for twelve months in the CEIP Nuclear Policy Program. While in residencefull-time at CEIP, selected fellows will be expected to lead a project of their own design,conduct original research, and write at least one policy relevant document. Dr. Robinson Snowden's research interests focus on nuclear arms control verification,nonproliferation, and modernization. Currently Dr. Robinson Snowden serves at the intersection of science, policy and politics as an NNSA Graduate Fellow in the Office of Major Modernization Programs (NA-19). In this role, she provides programmatic support to both the NA-19 Front Office and the Uranium Program. As a fellow, she is able to gain a deeper understanding of how the nuclear enterprise functions as well as understand the perspectives of government decision makers tasked with overseeing our arsenal. The Nuclear Nonproliferation Treaty requires weapon-state signatories to pursue disarmament agreements. Future treaties that seek to limit warhead numbers, or eliminate them outright, will likely require further development of verification technologies beyond those currently used in bilateral disarmament agreements. This verification goal is complicated by the competing missions of providing high confidence in compliance while limiting access to national secrets. My research investigates the potential for using secondary gamma rays generated naturally in high explosive exposed to a radiation source as a signature of the presence of a warhead-like object. This investigation defines a ‘warhead-like’ object as containing materials consistent with a warhead, specifically a neutron source and high explosives. Combining mock-up laboratory measurements with radiation transport simulations, this research seeks to determine the passive detectability of a warhead-like object using this secondary gamma signature. The mission of the NSE Communication Lab is to empower students to become confident and effective communicators. By offering content-specific support in written, oral, and visual communication, we help NSE students build the skills necessary to help spread knowledge in research, advocate for innovative endeavors, and educate the public in areas of nuclear science and technology. The NSE Communication Lab offers writing and speaking support for scientists, by scientists. It relies on a peer-coaching model, in which specially selected NSE graduate students are trained to become exceptional communication coaches. They work one-on-one with NSE clients, providing guidance and assistance for all NSE Department members in the effective creation of any and all forms of written and oral communication used by modern scientists. These include, but are not limited to, scientific journal articles, conference presentations, course materials, lab reports, research posters, and theses. Investigated the feasibility of using the detection of neutrons and gammas generated within a warhead as a signature of its presence. Studied the pulse shape discrimination properties of different organic scintillators: Stilbene, Boron-loaded plastic and liquid based scintillators with Dr. Natalia Zaitseva. A ROUNDTABLE DISCUSSION ON IRANIAN NEGOTIATIONS DELVES INTO POTENTIAL OUTCOMES AND IMPLICATIONS. On November 19, 2014, the MIT chapter of Global Zero and Radius hosted a roundtable discussion on the status of negotiations between Iran and the E3+3 (The United States, Russia, China, United Kingdom, France, and Germany) about Iran’s nuclear program. The discussion covered the history of the diplomatic process, the forces influencing current negotiations, and likelihood and implications of a successful agreement. Dr. R. Scott Kemp, an assistant professor in the Department of Nuclear Science and Engineering (NSE) at MIT, led the discussion. Before joining the faculty, Kemp served as Science Advisor in the State Department’s Office of the Special Advisor for Nonproliferation and Arms Control, where Iran was his primary responsibility. He has continued to participate in the track-II talks since leaving government service. Prof. Kemp brought a mix of technical and political insights to the discussion, covering many intricacies of the diplomatic constraints. The event opened with Kemp setting the stage for the current negotiations, beginning with the inauguration of President Hassan Rouhani and the appointment of Foreign Minister Mohammad Javad Zarif as Iran’s chief negotiator. Kemp asserted that this change in leadership marked a political shift that opened up the possibility of engagement that was not possible with the previous Iranian administration. On November 24, 2013, the new leadership agreed to a Joint Plan of Action that froze escalatory actions on both sides. After an extension in July, the 1-year anniversary and putative deadline for an agreement is now just days away. Kemp said it was very unlikely that a final agreement would be reached by the November 24 deadline. “I’m sorry to say, but there is virtually no chance that a final deal will happen by Monday”, Kemp said, “but that’s not as bad as it sounds.” It is still possible, he added, that negotiators might achieve agreement on a framework for the broad outlines of a deal. Kemp said the element of brinkmanship pushes important decisions to the deadline. He reported that the November 9–10 meeting between Foreign Minister Zarif, US Secretary of State John Kerry, and EU envoy Catherine Aston was unproductive beyond reaffirming that all sides continue to believe that a deal is in the best interest of all parties and that an extension of some sort seemed likely. Kemp identified three primary issues that remain unresolved: the size of Iranian stockpiles of enriched uranium, the duration of the period for which Iran would accept restraints and special inspection provisions, and the number of centrifuges Iran would operate during that period. Based on his expertise in enrichment technology, Kemp explained the tradeoffs between these parameters. The mission of the E3+3 negotiators is to lengthen Iran’s nuclear ‘breakout’ time to something like 12 months by reducing the number of centrifuges in operation and the stockpile of enriched uranium in Iran’s possession. Iran, by contrast, argues that it needs to retain a significant capability because of their future civil energy plans and face-saving considerations. Based on personal conversations with Foreign Minister Zarif, however, Kemp articulated reasons why he does not believe these claims. Instead, he believes Iran views its nuclear program as having strategic value, and would simply like to retain as much of that strategic capability as possible. Aron Bernstein, a professor in the MIT Physics Department and faculty advisor for MIT’s Global Zero, echoed Kemp’s view, arguing that Iran’s enrichment capabilities serve as a “virtual nuclear weapon”, giving the Iranian leadership the option to arm themselves in the future. In addition to this, Kemp explained that nuclear capabilities, whether for civilian or military purposes, are an intense source of pride for the Iranian public, making it difficult for the leadership to relinquish these capabilities while preserving their dignity. Many other issues were discussed during the 90-minute roundtable, including the response of Saudi Arabia to a successful deal between Iran and the West, and how a final agreement would impact the strategic calculus for Israel. While nobody in the room was confident in predictions about the future, participants did agree that a successful deal would be a productive step towards lowering the tension between Tehran and the West. Kemp articulated a large agenda of foreign-policy items for which a warming of relations with Iran would be useful, including the problems of ISIS and Middle East stability.